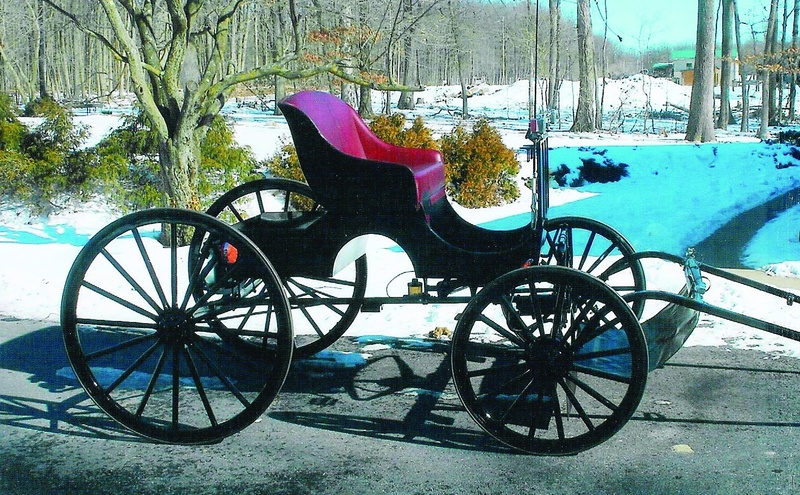 Good weather, good attendance, and good bidding all made for a very good Lancaster County Carriage and Antique Auction on June 25 & 26, according to Coordinator Jake King. 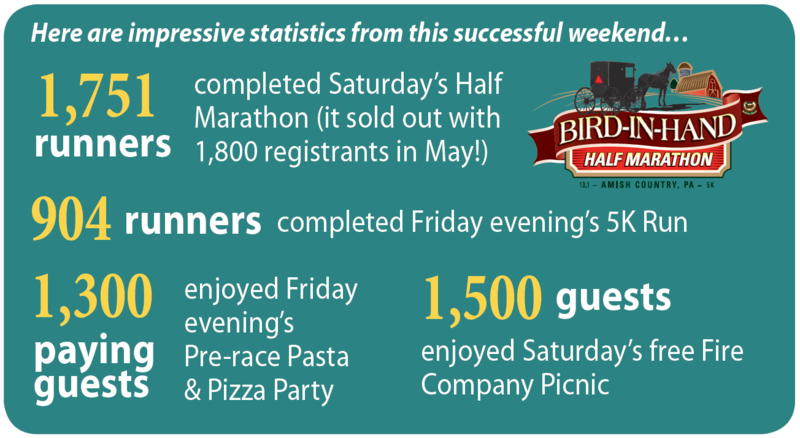 With the tremendous backing of the Bird-in-Hand community and the help of 400 volunteers, this year’s auction went smoothly and grew in numbers and profits. 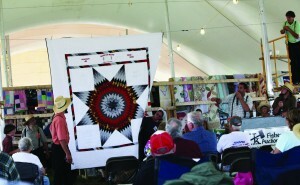 It is amazing that 5,000 auction-goers gathered in our small village for the events on Thursday and Friday. There was a 7 percent increase in registered bidders and a 14 percent increase in consignors. 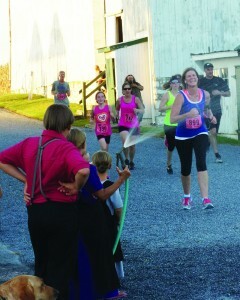 However, it was the large number of donated items that pushed the auction profits up by 65 percent. These donations included tack, antiques and collectibles, a runabout carriage, furniture, and several quilts. 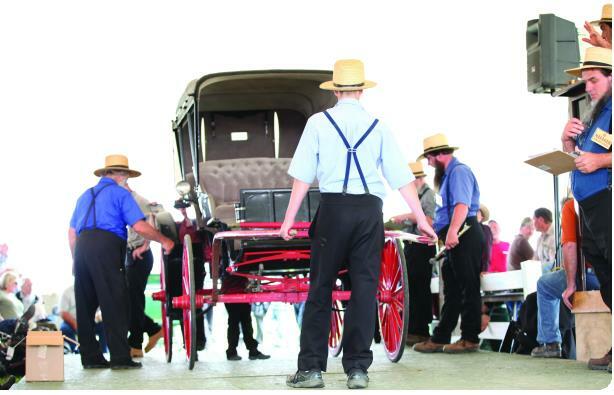 This year the Carriage Auction was advertised as many auctions wrapped into one event. Read what attendees said about each individual auction. 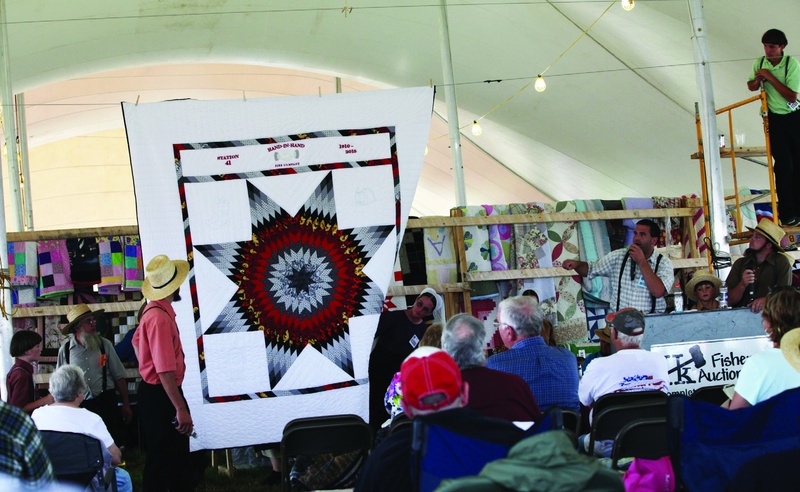 Community member Ruth Petersheim designed, quilted, and donated this special quilt honoring the Hand-in-Hand Fire Company. The winning bid was $700! 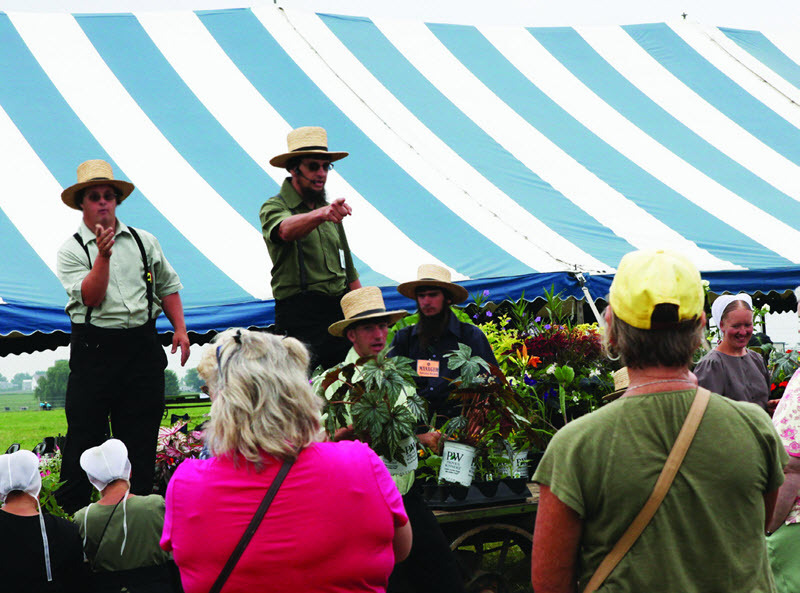 Perennials and annuals have become a major draw for both the Thursday and Friday auctions. The Fire Company appreciates the local support at these blocks. This runabout was donated by local businesses and individuals. Proceeds helped offset auction overhead costs. WellSpan is a charitable, nonprofit comprehensive health system in central Pennsylvania. Its mission statement is: working as one to improve health through exceptional care for all, lifelong wellness and healthy communities. 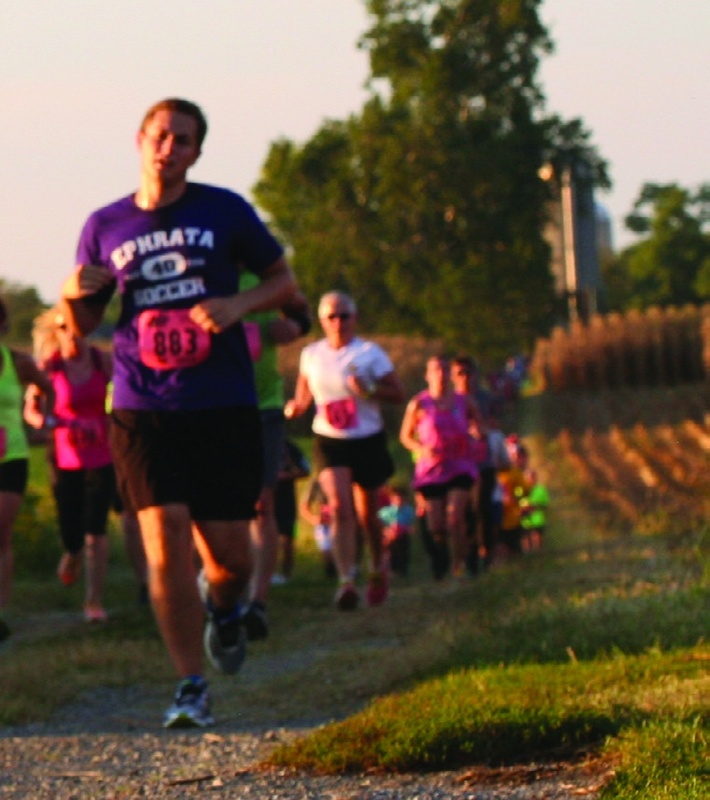 WellSpan Ephrata Community Hospital, one of the five respected WellSpan hospitals in this region, has been motivated by this mission statement to be a sponsor of the Run, Ride & Soar weekend for the past two years. Both the Bird-in-Hand Fire Company and WellSpan Ephrata Community Hospital are organizations that care deeply about the well being of the local community. The outstanding fire protection and excellent health resources they provide make this area a desirable place to live. 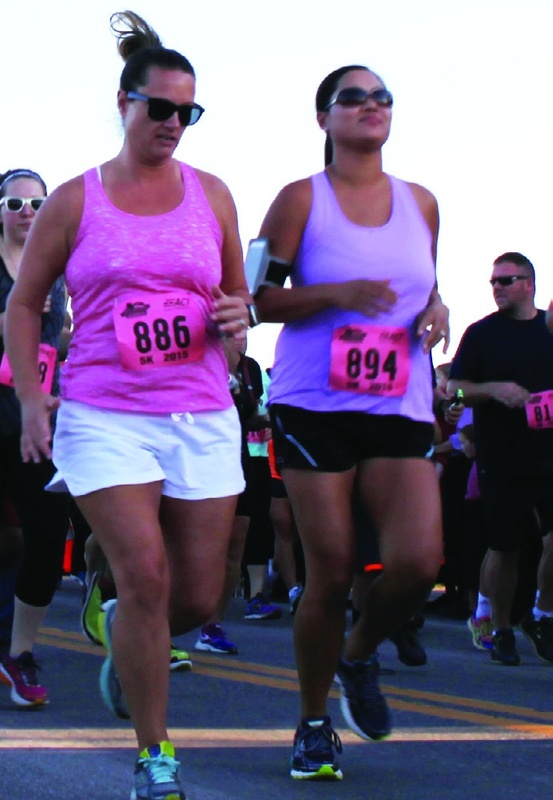 WellSpan encourages local residents to become healthy and stay that way. When residents participate in the events of the Run, Ride & Soar weekend it helps to accomplish this goal. 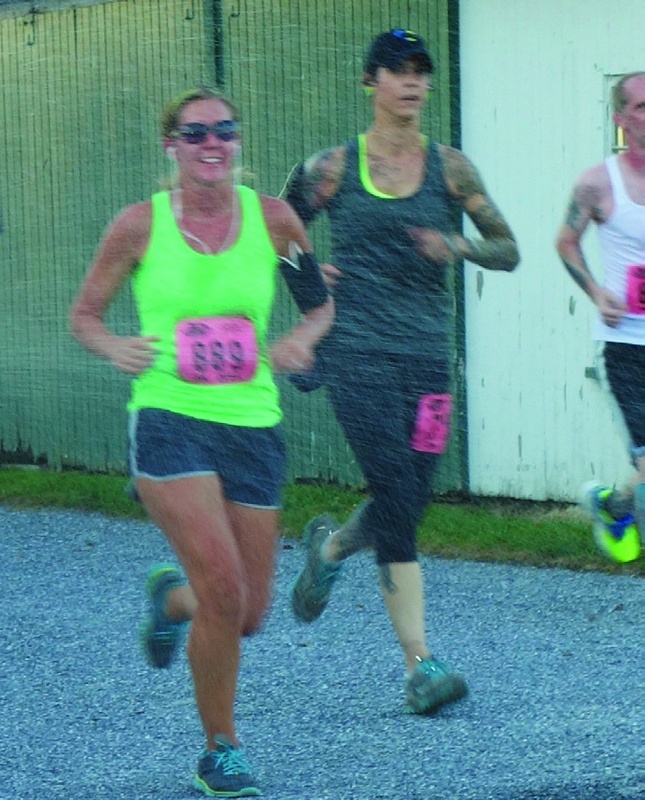 Many of the runners in the Bird-in-Hand 5K and Half Marathon come from across WellSpan’s service area, including Lancaster, York, Adams, and Lebanon Counties. In fact, WellSpan employees were registered for both the 5K Run and the Half Marathon. One patient, one community, and one unique health care need at a time. That is the approach WellSpan takes in developing and strengthening systems of care in each community. Their goal is for local people to have access to high quality health care in their community. 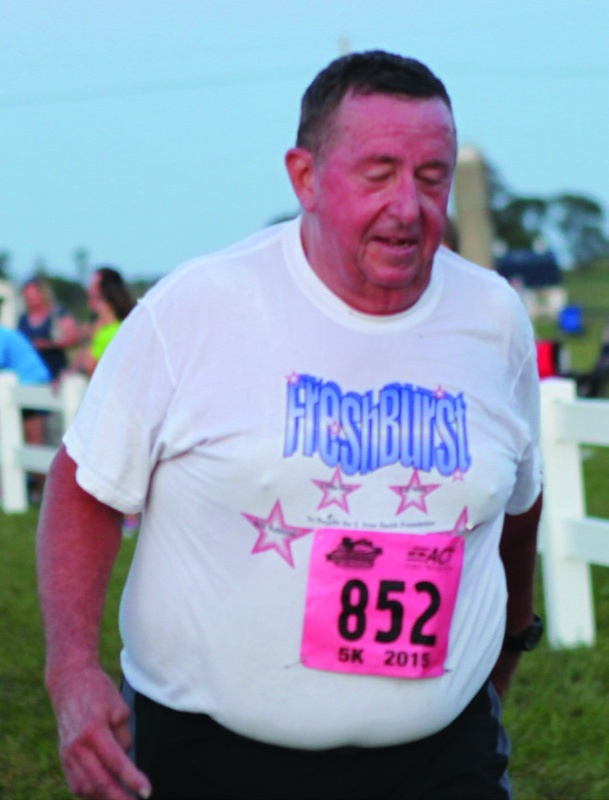 Along with that, WellSpan believes in building partnerships with organizations like the Bird-in-Hand Fire Company to ensure that the health and wellness needs of their neighbors in the community are being met. 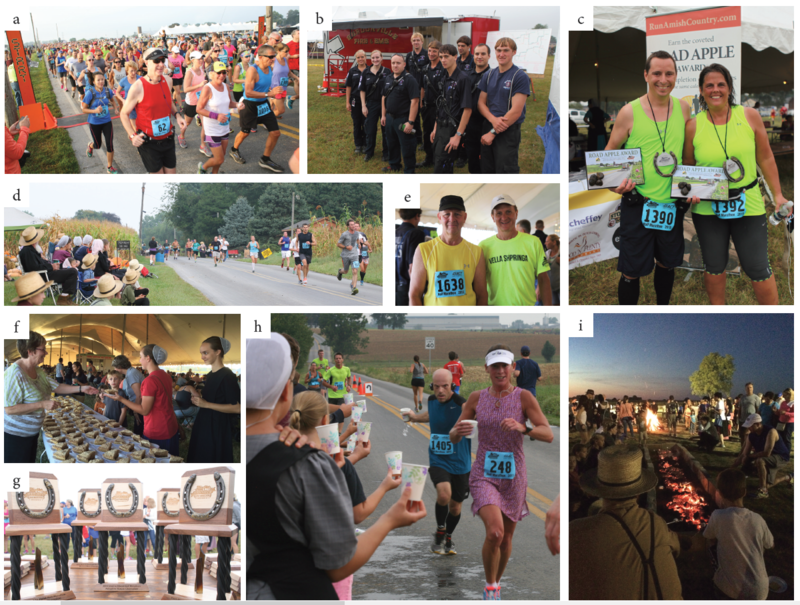 Currently the Run, Ride & Soar sponsorship is the only formal relationship that the Fire Company and WellSpan have established, but both organizations are open to additional partnership opportunities in the future in order to continue building a healthy Bird-in-Hand community. In support of their employer’s wellness initiatives, WellSpan employees enjoy the evening 5k Run.